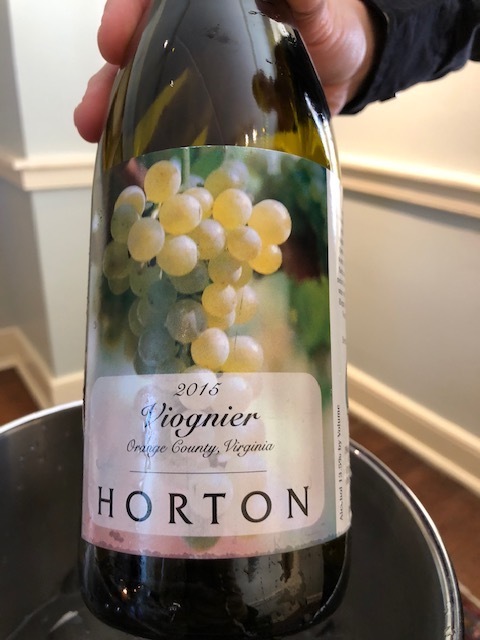 This October, I had the opportunity to attend the Virginia Wine Harvest Party, which was a two-day whirlwind media tour that was held in conjunction with Virginia Wine Month, the longest running state wine month. As I mentioned before, it had been 7 years since I visited the region. I had heard some great buzz lately about the Commonwealth and was excited to get back and see for myself what was happening. I was happy to find that the buzz was well deserved. 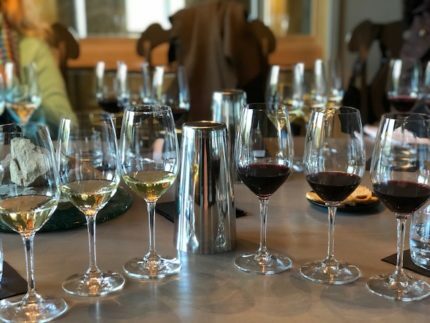 A group of media were brought together by the Virginia Wine Board to celebrate the Inaugural Harvest Party, a new tradition that was formed to celebrate the past, present and future of Virginia wine. 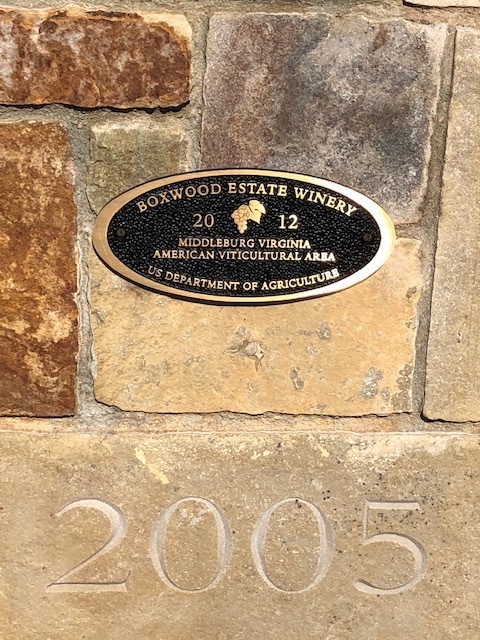 Created by the Virginia General Assembly in 1984 as part of Virginia’s Department of Agriculture and Consumer Services, the Virginia Wine Board promotes the interests of vineyards and wineries in the Commonwealth through research, education and marketing. 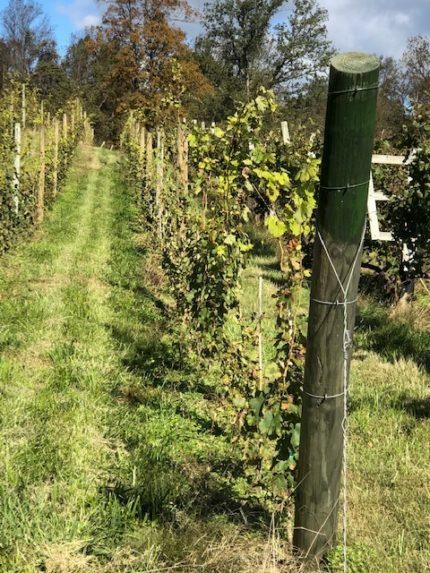 First a little about the State of Virginia and its place in North American wine history, which actually predates our country itself. At one time, planting vineyards was a state mandate. In 1762, Charles Carter proved it was possible to grow wine grapes successfully in Virginia. Twelve years after English colonists settled in Jamestown, the Virginia House of Burgesses passed Acte 12, requiring each male colonist to plant and tend at least 10 grapevines. In the 1800s, Thomas Jefferson started a vineyard and winery near Monticello. Virginia kept showing progress through the 19th century until Prohibition in 1920 killed all progress. Things begin to look up in the late 1950s when wineries began to plant experimental grapes with success. By the 1970s, six new wineries existed, and European winemakers started to see potential in the region. 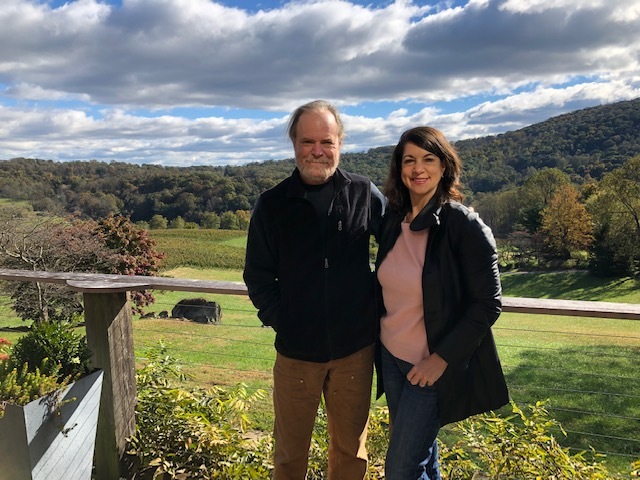 In 1976, well-known Italian Winemaker Gianni Zonin, hired Gabriele Rausse to grow and harvest grapes near Charlottesville and established Barboursville Vineyards. He is credited with helping to establish five more vineyards. By 1995, Virginia had 46 wineries. By 2005, there were 107. Today, Virginia is home to nearly 300 wineries and is located halfway between Europe and California. 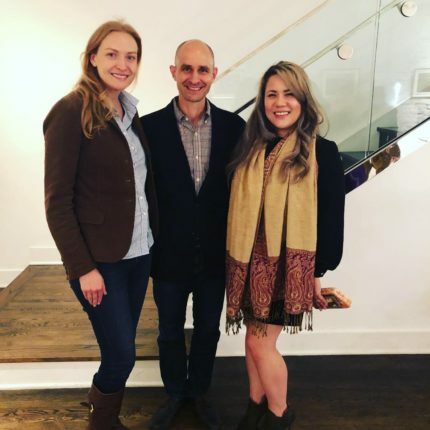 We started our first evening with an intimate six-course wine dinner at Fathom Gallery in Washington DC, that was hosted by the Virginia Wine Board and Neal Wavra, Owner of Field & Main. 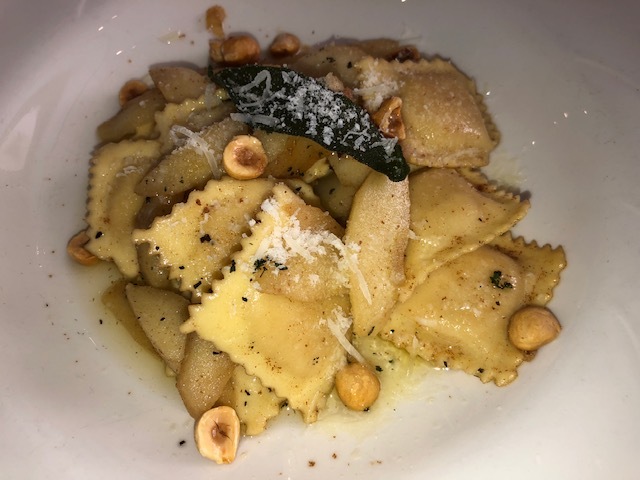 Neal is such a passionate ambassador that he personally choose the food and wine with the pairings that made our group want to stand up and want to evangelize what a match made in heaven these were. He talked about generational farming and how many of these families had the land first and then decided to plant vineyards. 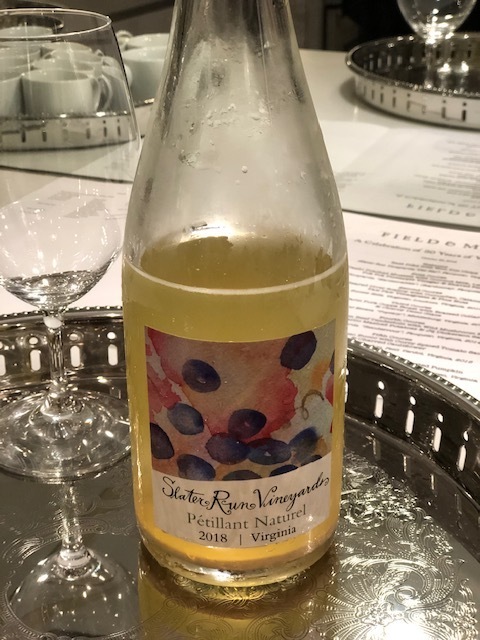 We were greeted with 2017 Slater Run Vineyards “Pet Nat” Fauquier, Virginia with Beet Poke and Won Ton Chips. Our First Course was 2015 Linden Vineyards Hardscrabble Chardonnay, Fauquier, Virginia, with Dashi Poached Mussels with Coconut Milk, Lemongrass, Pok Pok Pineapple Vinegar and Shaved Vinegar. We moved to our Second Course, which was 2016 Sunset Hills Vineyard Viognier, Loudoun, Virginia, with Seared Diver Scallop with Cucumber, Calamansi, Paw Paw Vinaigrette and Pine Nuts. 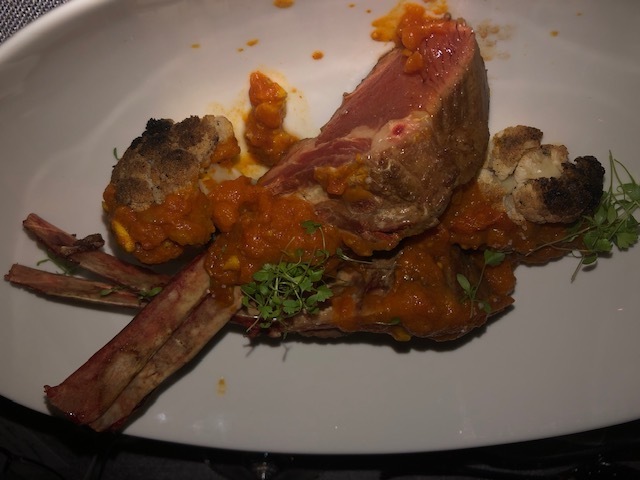 Our next course was the 2015 Boxwood Estate Winery Topiary from Middleburg, Virginia, with the Wet Nose Farm Pork Coppa Roast with Braised Collard Greens and Cherry Demi-Glace. I refrained from the pork due to my allergy, but it got rave reviews. 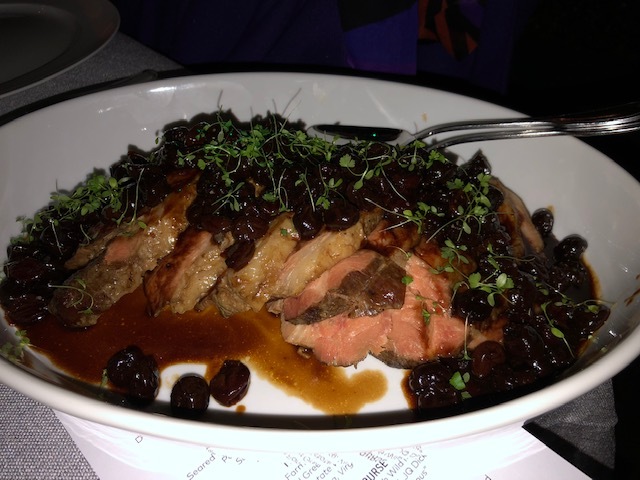 Our fourth course was the 2014 RdV Vineyards Rendezvous, Fauquier, Virginia, with the Martin’s Farm Beef Tenderloin with Wild Mushroom Ragu, Roasted Garlic Mashed Potatoes and JQ Dickerson Salt. Barely able to breathe, we powered on to the fifth course, which was the 2016 Paradise Springs of Clifton, Petit Verdot, Virginia, paired with Braised Lamb Osso Bucco with Curry Spiced Tomato Sauce and Charred Cauliflower. We ended the evening with a 2013 Glen Manor Vineyards Raepheus Petit Manseng, Warren, Virginia, with a Bruleed Pumpkin Custard in a Roasted Pumpkin. 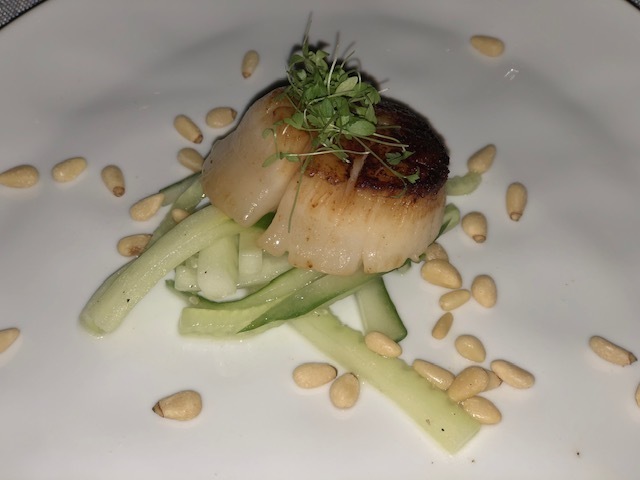 It was a magical dinner served outside under twinkling lights, full of stories and comradery where writers had a chance to share their favorite stories of Virginia wines. The next day we got to spend time with a legend. 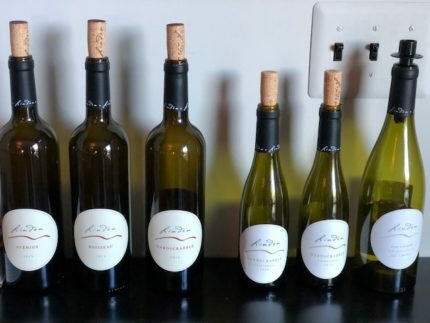 Jim Law, the owner of Linden Vineyards and wine grower of Hardscrabble Vineyard, spent the morning with us tasting through a vertical of his Hardscrabble Chardonnays and showing us reds from his other vineyards. Linden Vineyards is one of Virginia’s top wineries, and is located in the Blue Ridge Mountains, 60 miles west of Washington DC. The entire wine production of 4,000 cases comes exclusively from three distinct vineyard sites. Hardscrabble, the twenty acres surrounding the winery; Avenius Vineyard, one mile north of the winery; and Boisseau Vineyard, which is six miles west of the winery in the town of Front Royal. Linden is best known for single vineyard bottlings of Chardonnay, Sauvignon Blanc, and Bordeaux variety red blends. 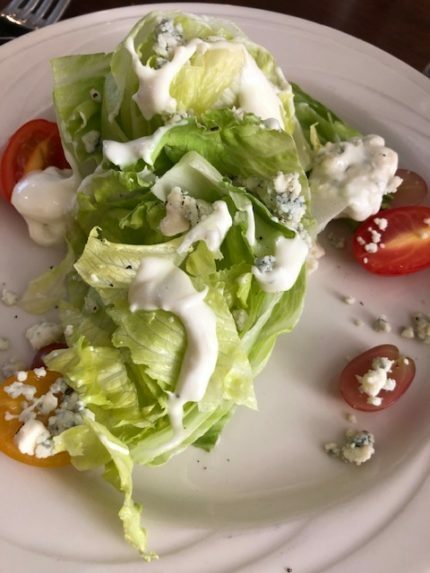 Jim was originally from Ohio and was raised by parents who were passionate about food and wine. 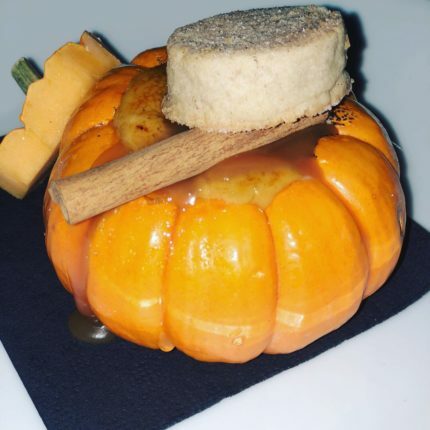 He studied in Europe and grew up drinking French wines. 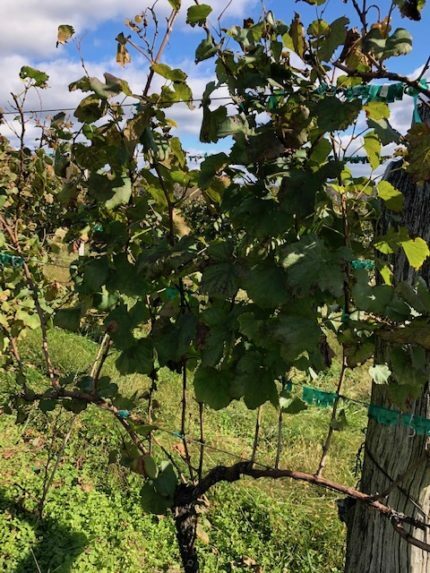 He decided, after teaching agriculture in the Congo as a Peace Corps Volunteer, that he wanted to grow grapes and found a vineyard job in Ohio. 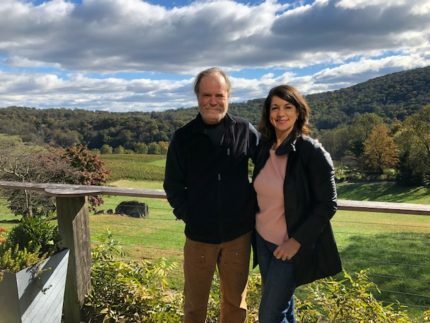 In 1981, Jim was hired to start a winery in the Shenandoah Valley and his love affair with Virginia began. While establishing Linden Vineyards in 1983, which was once an abandoned apple orchard, he consulted for other wineries and taught winegrowing at local community colleges. He purchased the 76-acre vineyard and planted the first eight acres in 1985. The first planting consisted of Chardonnay, Cabernet Sauvignon, Cabernet Franc, Vidal, and Seyval. The winery was finished in time for the harvest of 1987, Linden’s first commercial vintage. And Jim talked about the future. Things that show vision like experimental vineyards and how grapes react to climate change. Things like single soil wines. But don’t push him too far. As we walked by a forlorn looking concrete egg that sits empty he remembered his roots and is quick to remind you “that Linden is not about being ‘cellar people’. 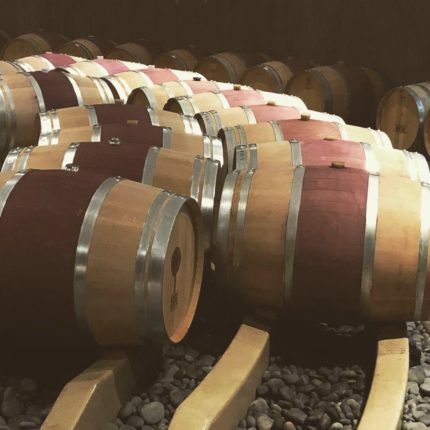 We don’t want the change to happen in the cellar – it’s about what happens in the vineyards.” They used it once and it changed the wine – it’s no longer being used. Jonathan Weber, who has been Linden’s winemaker since 2016, also joined us. Before we launched into our vertical tasting, Jim and Jonathan stressed what happens in the vineyard is all about the terroir, the site and the ageability of the wines vs what happens in the cellar. 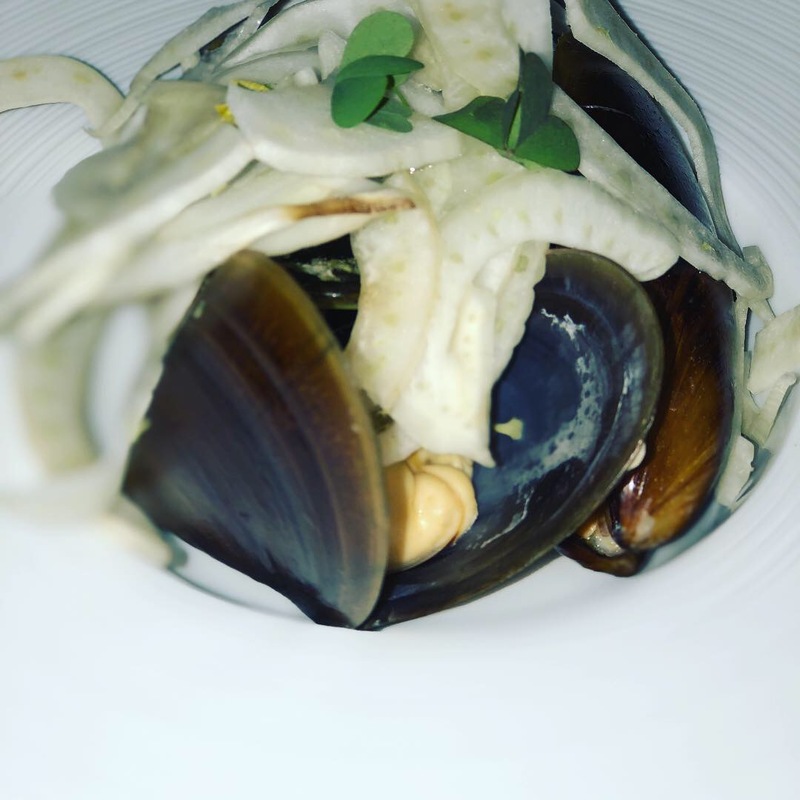 · 2014 Hardscrabble Chardonnay – I tasted notes of lemon curd, apple, minerality and tropical fruit. This was a leaner vintage that didn’t show well at first but was a great wine. · 2015 Hardscrabble Chardonnay – this wine had a bigger mouth feel with notes of pineapple, citrus, apple and butterscotch that was made during a perfect growing year. We then moved to three 2015 single-vineyard reds where it was evident how different the wines can be from different terroir. 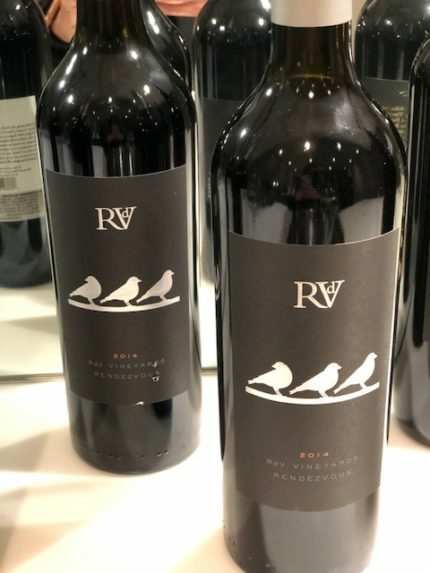 · 2015 Avenius – this blend of 46 percent Cabernet Sauvignon, 46 percent Merlot and 8 percent Petit Verdot is farmed on five acres of vineyards planted in 1996. I tasted blackberry, red fruit, herbs, cinnamon and rose petals. · 2015 Boisseau – this 100 percent Cabernet Sauvignon is the youngest property and is described as “hedonistic.” I found it earthier with notes of spice, eucalyptus, cherry and herbs. 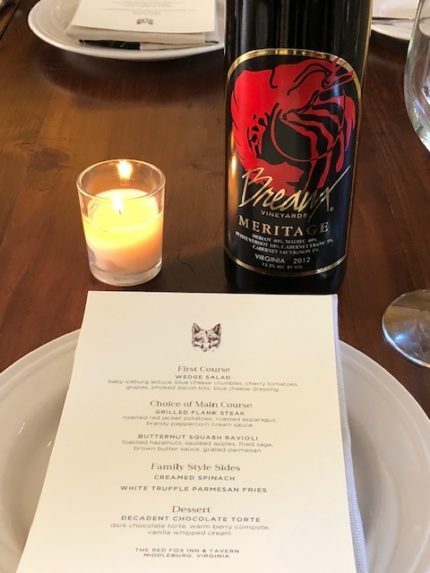 · 2015 Hardscrabble – this was a blend of 46 percent Cabernet Sauvignon, 35 percent Merlot and 19 percent Cabernet Franc grown on the largest vineyard of around 20 acres. It was described as “an intellectual wine.” It was elegant and Burgundian-like with notes of blue and black fruit, cocoa, chocolate and pepper. · 2001 Hardscrabble Reserve – after one of our media attendees asked to taste a specific vintage, Jim readily popped open a bottle. It was a blend of 42 percent Cabernet Sauvignon, 25 percent Petit Verdot, 3 percent Merlot and 30 percent Cabernet Franc. It had some notes of stewed fruit and blackberry, but you could still taste the fruit and it was so interesting to taste the process and evolution of the wine. 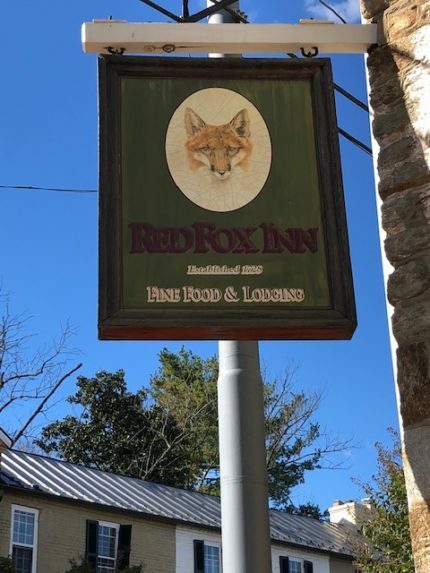 We then traveled to the Red Fox Inn & Tavern. Established in 1728, the Red Fox Inn & Tavern rests in the heart of the historic village of Middleburg, VA. With a rich history dating back to the Revolutionary and the Civil Wars, the Inn & Tavern maintains the traditions of days past. We enjoyed a multi-course lunch matched with several of Virginia’s top wines. We then moved to Boxwood Winery, where I had a chance to visit during the Wine Bloggers Conference of 2011. Boxwood was once actually one of the first horse farms in the eighteenth century located in Middleburg, Virginia, and is designated as a historical landmark. 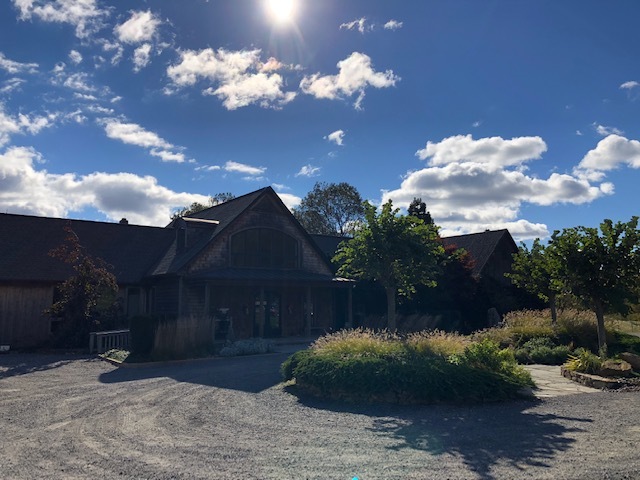 When Rita and John Kent Cooke’s acquired the property, they had one goal – to make a wine that would rival wines across the world. Cooke hired well-known viticulturalist Lucie Morton to design the 16-acre vineyard and Purdue University Professor of Enology Richard Vine to advise architect Hugh Newell Jacobsen on the design of the winery. 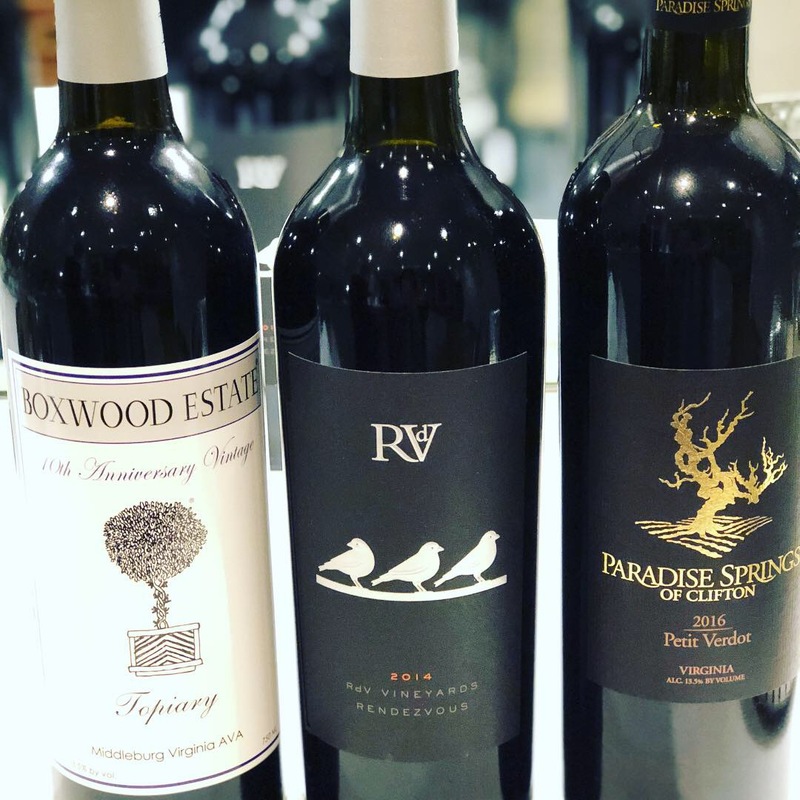 Then in 2006, they brought in the famed Stephane Derenoncourt, one of Bordeaux’s great winemakers, as a consultant who still works today with Boxwood Winemaker, and Viticulturist Tyler Henley and Executive Vice President Rachel Martin. 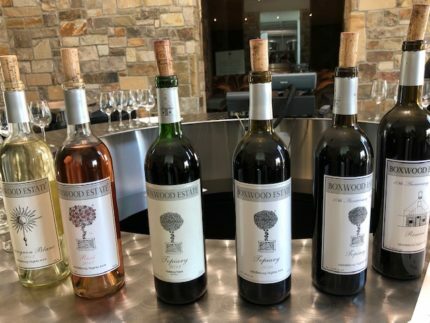 Seven years ago, Boxwood was one of two wineries where I purchased and shipped wines home while at the conference. I was excited to see what had happened over the last seven years. It turns out a lot, but not much. The winery has expanded beyond the reds into a lovely roséand sauvignon blanc. 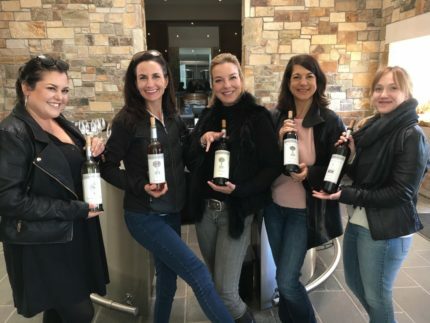 But the goal of staying a 5,000-case production maximum (today the production is between 3,000-4,000), boutique winery focused on making really great wine had not. The winery still was dedicated to helping other Virginia wineries flourish and become successful because that helped the entire industry. 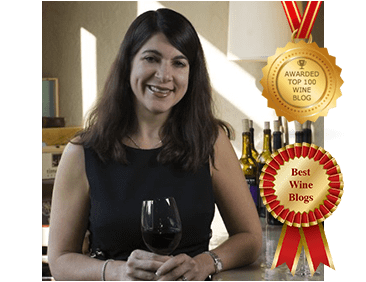 Jessica Chivers-Wilson, the National Sales Director, talked about the challenging 2018 vintage and echoed the same thoughts as Jim. 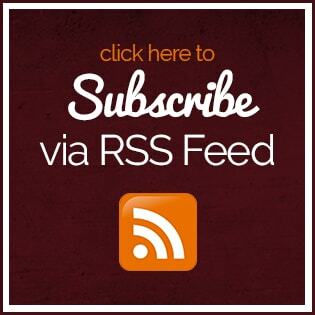 Only the best wines would be released under the Boxwood name, so expect rosé this year. 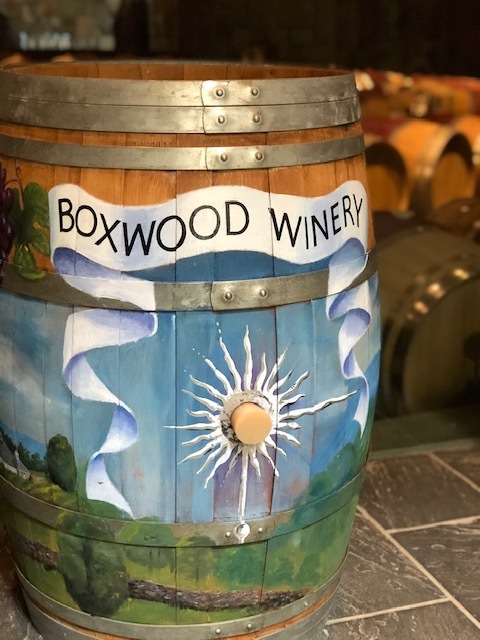 2017 Boxwood Estate Winery Sauvignon Blanc – this wine had a great acidity with notes of citrus, pear and minerality with floral notes. 2017 Boxwood Estate Winey Rose – a blend of 40 percent Cabernet Sauvignon, 24 percent Merlot, 23 percent Cabernet Franc, 11 percent Malbec and 2 percent Petit Verdot, this classic dry rosétasted of strawberry, raspberry, peach, rose petal and a nice minerality. 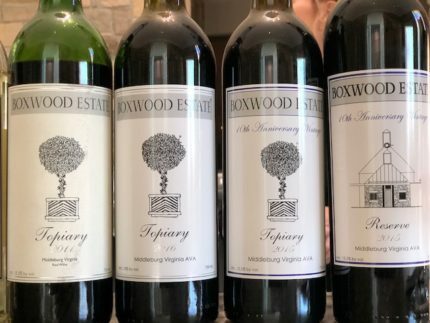 2011 Boxwood Estate Winery Topiary – this 68 percent Cabernet Franc and 32 percent Merlot grown with 100 percent estate fruit was a silky, elegant wine. I tasted blackberry, spice cigar, violet and red fruit. 2016 Boxwood Estate Winery Topiary – this blend of 71 percent Merlot, 23 percent Cabernet Franc and 6 percent Petit Verdot was full of blue and black fruit, plum, cassis, violet and herbal notes. 2015 Boxwood Estate Winery Topiary – this blend of 70 percent Cabernet Franc, 22 percent Cabernet Sauvignon and 8 percent Petit Verdot was the tenth anniversary wine. I tasted spice, vanilla, black and blue fruit, currant, spice and flowers. This was a bigger wine than the others. 2015 Boxwood Estate Winery Reserve – this was the first time a reserve was made, which will only be done during special years and happened to be the winery’s tenth anniversary. It was a great wine with notes of cherry, Asian spice, tobacco, black fruit and spice. 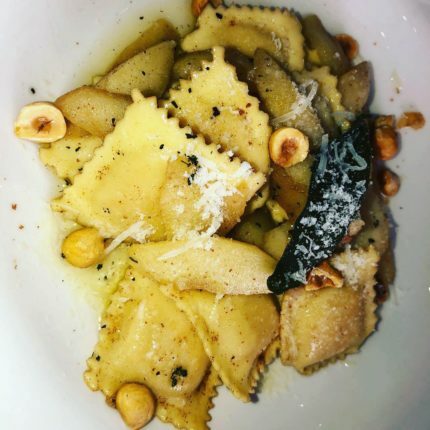 As I walked away from my 36 hours in Virginia, I continued my appreciation for the diversity of the region, the people that shaped the winery industry in the State and beyond and the wines that I am hoping will grow beyond tasting room distribution and make their way to Texas, so I can share them.